According to Andy Warhol scholar Donna De Salvo, it was through the process and experiments with printmaking that Warhol was able to fully explore his interests in the aesthetic and mass-production qualities of media. Warhol often challenged the defining categorization of mediums and the traditional boundaries that separate painting, drawing and printmaking. For instance, he often used the same screenprinting technique for both his paintings and prints and, later, he implemented further contradictions by undertaking unique methods within the printmaking process (hand-coloring, oxidation, chemical reactions, etc. ), thereby making each print unique within an edition. While these issues created difficulties relegating his work into easily defined mediums, it also offers a horizontality in which we can regard his work as a whole. This work is an original print made outside the published edition (ER). In his printed series, Warhol often made unique editions, trial proofs, and unpublished prints, as a way of subverting the concept of the print as an identical unit. Warhol often used printmaking the way some artists might use drawing—as a method for experimenting with process and visualizing ideas. Warhol experimented with a number of surface-altering processes in his paintings, collages and prints, the results of which produced chemical reactions in the ink that guaranteed no two images were alike. 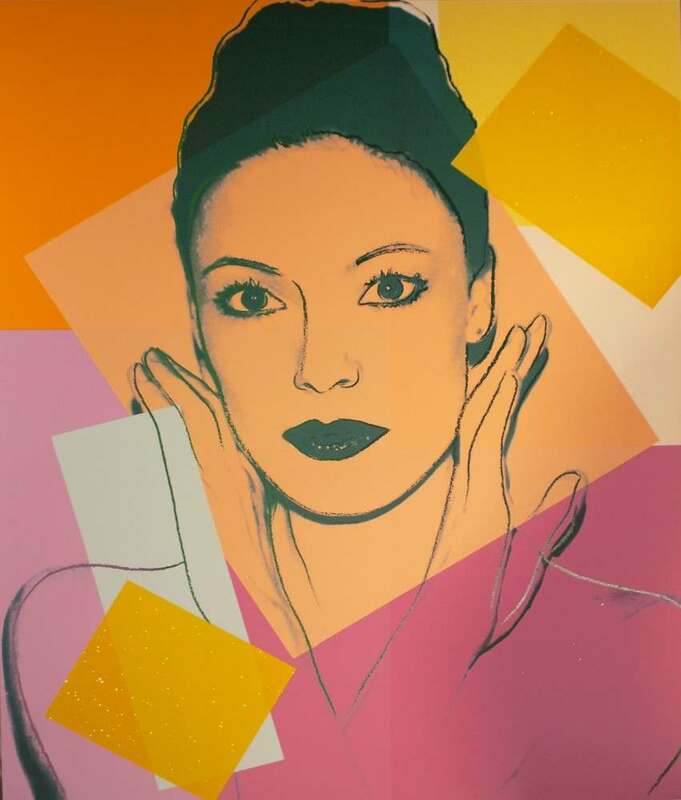 In 1979, he began using diamond dust in the ink of his prints, as seen in this portrait of Karen Kain, a longtime principal ballet dancer for the National Ballet of Canada. The print is inspired by a Polaroid photograph of the dancer taken by Warhol.